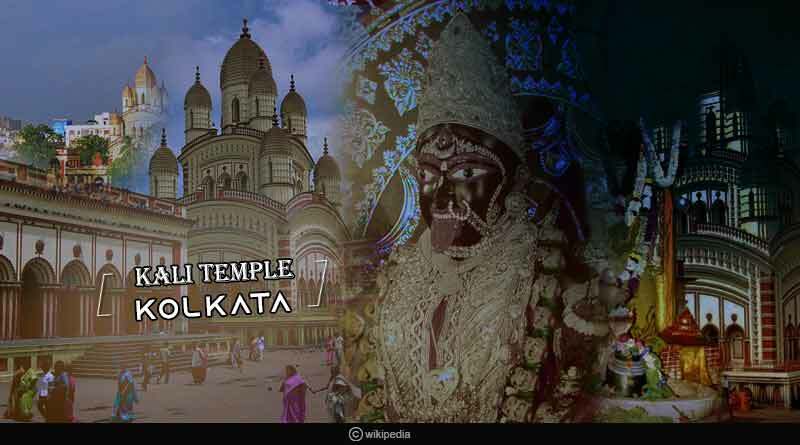 Do you know the legend of Dakshineswar Kali temple? Dakshineswar Kali Temple is a Hindu temple which is located in Dakshineswar near Kolkata. The temple was built in the year 1855 by Rani Rashmoni, a philanthropist and a devotee of Kali. The establishment of the temple has an interesting story behind it. ‘Bhavatarini’, another form of Kali is the presiding deity of Dakshineswar Kali temple. Bhavatarini is the goddess that helps its devotees liberate from the vicious circle of life and death or the ocean of existence, i.e. this World or Samsara (in Hindi). It is a temple that resides in the heart of every single Bengali. This temple was founded around the middle of the 19th century by Rani Rashmoni. Rani Rashmoni was well known for her philanthropic activities. In 1847, Rashmoni planned to go upon a pilgrimage to Kashi to express her devotion to Mahakali. According to traditional accounts, the night before the pilgrimage began; Rashmoni had a dream where Goddess Kali said, “There is no need to go to Banaras. Install my statue in a beautiful temple on the banks of Ganga and arrange for my worship there. Then I shall manifest myself in the image and accept worship at that place”. The idol of Goddess Kali was installed on the Snana Yatra day on 31st May 1855 and 1 Lakh brahmins were invited from all over the country. The temple contains a large courtyard which surrounds the temple, with rooms along the boundary walls. There are twelve identical temples of Lord Shiva built close to the riverfront. A temple to Radha-Krishna is also present in the temple complex. The total area of the temple is about 54.4 bighas. Rani Rashmoni spent around Rs 42, 500 for building the temple. The visiting hours of temple are 6 am to 12:30 pm and 3pm to 8:30 pm. By Air: Netaji Subhash Chandra Bose International Airport is situated at Dum Dum city, around 17km northeast of Kolkata. By Train: Dakshineswar is a railway station on the Sealdah and Dankuni (on the Howrah-Bardhaman chord line) sector. It is only 14 km from Sealdah and 10 km from Dankuni. By bus: Good bus services are available here. Ramakrishna Paramahansa was an Indian saint of Kolkata, who had spent a considerable amount of his lifetime in the temple premises. He came to the temple to assist his elder brother Ramkumar, who was head priest of the temple then. If you are in Kolkata you shouldn’t miss this temple to seek blessings of Goddess Kali. For more articles like the legend of Dakshineswar Kali temple, do Subscribe to our newsletter and follow us on Facebook, Twitter and Google+.